Keep Warm at Parkmore Shopping Centre with our Equipment. 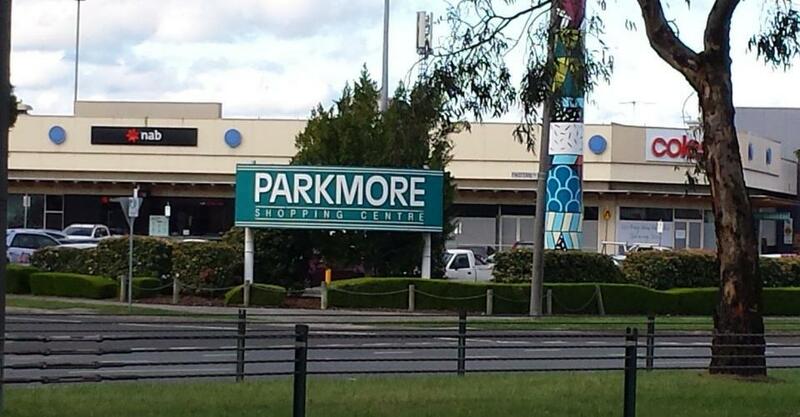 Parkmore Shopping Centre in the Melbourne suburb of Keysborough is managed by The GPT Group. The General Property Trust Has been around for nearly 40 years and manages over 60 properties around Australia of the value in excess of $20 billion. Commercial interests they hold for their many thousands of investors include office buildings, retail centres and business parks around the country from Casuarina Square in Darwin, Northern Territory to Liberty Place, the huge office complex in the heart of Sydney’s Central Business District that comprises the ANZ Tower, Legion House, 167 Castlereagh Street, an outdoor retail plaza and a car park. The Parkmore Shopping Centre serves the City of Greater Dandenong and surrounding areas with over a hundred units of retail space from large stores like Kmart and Big W to small kiosks like Donut King and Muffin Break. The Centre was opened in 1973 and recently benefited from a review of the performance and efficiency of its central heating plant. 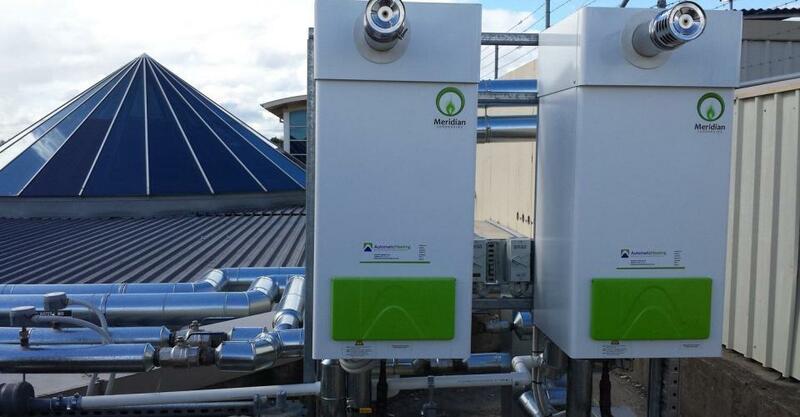 As a result of these investigations, it was decided to upgrade and the central heating is now efficiently serviced by nine Meridian Condensing Water Heaters. 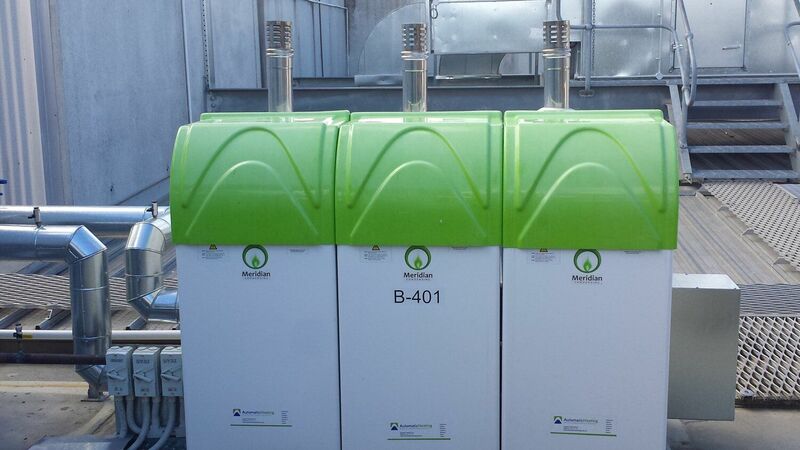 These highly efficient pieces of equipment are strategically placed around the center in convenient locations out of sight on the rooftop. 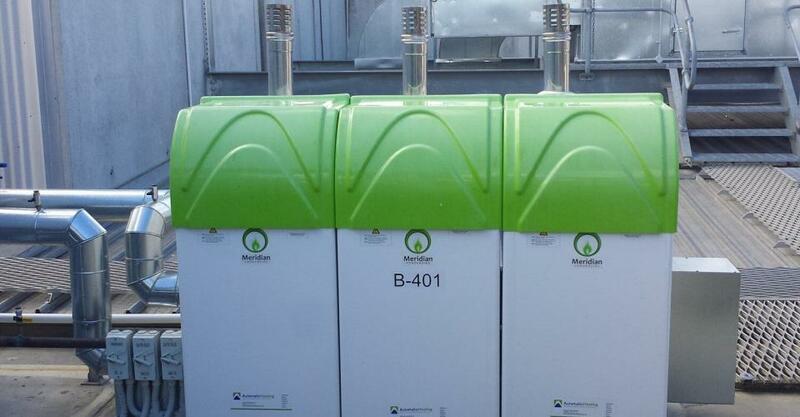 As a result of recent upgrades, central heating is now efficiently serviced by nine Meridian Condensing Water Heaters. “Well done!” to AG Coombs and their capable team. 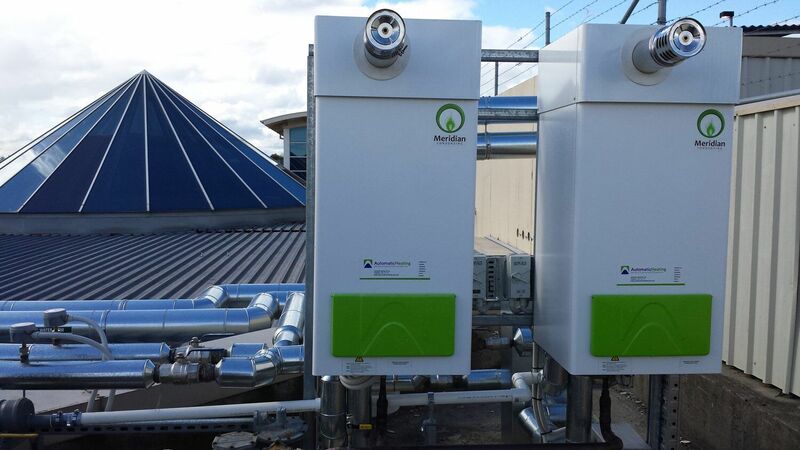 AG Coombs are based in Moorabbin, Victoria and provide specialist services and technical assistance to the building sector and oversaw this project using the boilers we supplied. 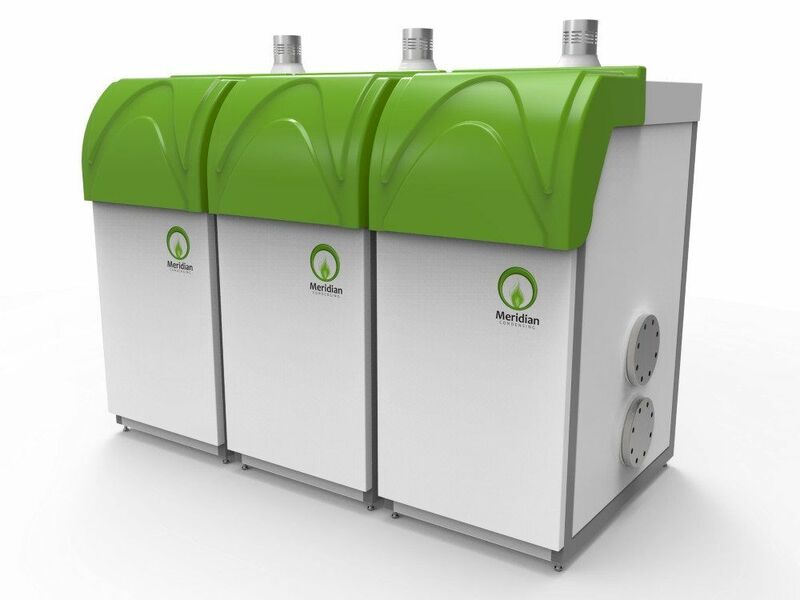 For more info on the unique features of Meridian Condensing Water Heaters, check out our Meridian video.